So the wait is finally over! 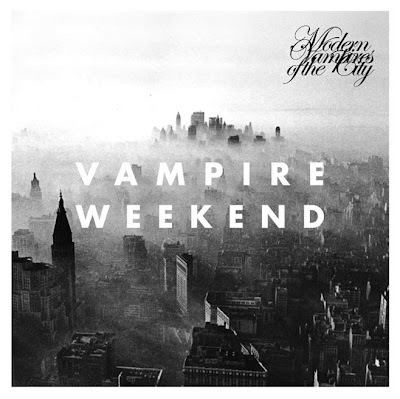 Today was the day that the world got what they wanted - brand new material from New York's illustrious Vampire Weekend. No more replaying live acoustic sets or live performances at festivals, the studio versions are here. The strange thing is we received two new tracks, not just one, but hey I'm not complaining! Both of them will appear on the highly anticipated third studio album Modern Vampires of The City. The first track "Step" definitely has a very Contra feel to it, but also takes some elements from earlier tracks "M79" and "Walcott". "Diane Young" probably needs a bit of time to grow on me I think. It's definitely a different sound and comes off slightly aggressive for my liking. If there's anyone to sway me it's Ezra Koenig for sure.